In this section of the World of Reggae Music Collection the selector explores the influence and influences of Ub40 . This particular edition focuses on the original reggae bands and musicians that UB40 covered. The boys from Birmingham, England made reggae music popular from the European continent to the backfields of north Texas. And more importantly it made inquisitive listeners follow the tracks back to their original performers. The first time many people heard “Johnny Too Bad ” and “Cherry Oh Baby ” was on the album Labour Of Love , the same album that featured the hit single “Red Red Wine .” Music fans around the world followed many of these tracks back to their Jamaican roots. In the stacks of records they found the amazing sounds of The Slickers , The Melodians , John Holt , Lord Creator , and Eric Donaldson . Ub40 turned many of these delightful tracks into electric 80s pop music for the masses. Albeit “Red Red Wine” is a Neil Diamond song, Jamaican artists like Tony Tribe had already made “Red Red Wine ” wicked reggae music. Here in this list are the original reggae tracks from which UB40 found inspiration. 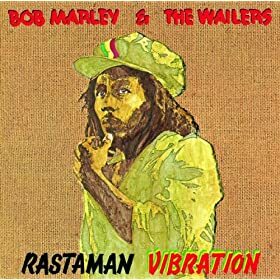 From the reggae legends like Bob Marley and The Wailers and Jimmy Cliff to the more obscure artists like Boy Friday and Ken Parker , Ub40 reintroduced some of the greatest 60s and 70s reggae tunes to the modern world. Last night I went to see the documentary Gasland at the Modern Art Museum in Fort Worth, Texas. The environmental consequences of gas drilling are tremendous. The industry harms humans, animals, and rivers around the country. This particular film focused on the dire impacts of fracture drilling around the United States. Peaceful rural people seemed to suffer the most from the destructive drilling practices. The fracturing caused farmers’ water supplies to be tainted and even poisoned. In some cases the water could be lit on fire. That’s right so much gas has seeped into water reserves that water (that once ran pure) can now be lit on fire. This film is a warning, and not of the Al Gore alarmist type. It is an objective treatment of an issue that has been muddied by the natural gas industry. It is shocking to see the environmental damage wrought by the gas companies, but it is even more shocking when one considers this is but one of the many large energy producers (coal, oil, and gas) polluting our communities. Between the big producers it is amazing that we can still breathe. And I am not even talking about carbon emission. I’m talking about arsenic, acids, and other major hazardous chemicals. Filmmaker and now modern-day muckraker Josh Fox has put together an excellent expose of the gas industry. There is a reason the gas industry runs so many commercials on television, radio, and billboards. It is a brainwashing campaign to dupe regular citizens into supporting a harmful and destructive, yet lucrative practice. Fort Worth, Texas and the industrialization of the Barnett Shale plays a central role in this film, especially the plight of the tiny community of Dish, Texas. This topic is not only of global significance it is of the utmost local importance. HBO will be showing this film soon. Catch it on cable if you can. If not, go see this great award-winning (it won a Sundance award) film! I even found parts of it on youtube. Plus I really like Fox’s use of the banjo and the Woody Guthrie song “This Land Land Is Your Land.” The song is appropriate, especially when exploring the opening of Bureau of Land Management (BLM) lands during the Bush-Cheney years. Much of the public lands of the American West were exploited by natural gas extraction. And much of the water tables in the surrounding areas were completely ruined. Josh Fox hopes that his beloved creek in Pennsylvania will escape such a fate. Hopefully, Fox’s film will shed a bright light on the supposedly “clean energy” industry. In light of the recent oil spill in the Gulf of Mexico, Texas needs to reevaluate our energy sources, strategies, production, and needs.